The First Minister has branded the draft EU Withdrawal Agreement ‘unacceptable’. Scotland’s First Minister described the letter as “desperate” and reiterated her calls for alternatives to Brexit. 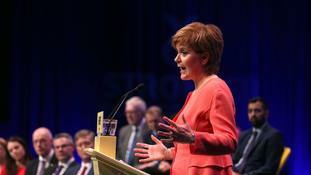 Scotland’s First Minister said the SNP at Westminster would vote against the draft agreement. Scotland’s First Minister said she would not be part of the journalism event with the former White House strategist. Ms Sturgeon said timing of another independence referendum is dependent on the details of the Brexit deal negotiated by the Prime Minister. The First Minister is waiting to hear what Brexit deal the Prime Minister reaches with the EU. 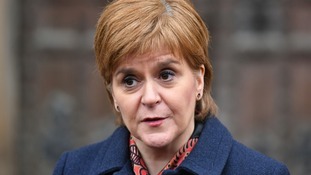 Scotland’s First Minister said the Chequers proposals were a ‘dead duck’. The Scottish Liberal Democrats called the new statistics "horrendous and heartbreaking”.